In a period of ongoing debate about faith, identity, migration and culture, this timely study explores the often politicised nature of constructions of one of Britain’s longest standing minority communities. Representations in children’s literature influenced by the impact of the Enlightenment, the Empire, the Holocaust and 9/11 reveal an ongoing concern with establishing, maintaining or problematising the boundaries between Jews and Gentiles. Chapters on gender, refugees, multiculturalism and historical fiction argue that literature for young people demonstrates that the position of Jews in Britain has been ambivalent, and that this ambivalence has persisted to a surprising degree in view of the dramatic socio-cultural changes that have taken place over two centuries. 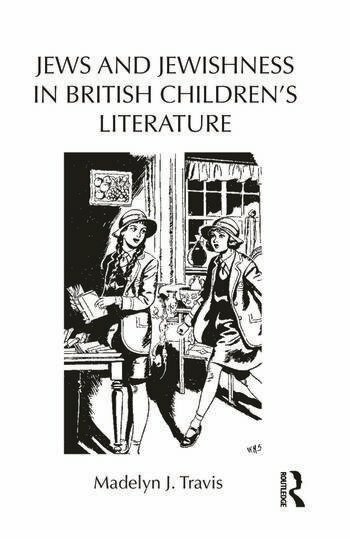 Wide-ranging in scope and interdisciplinary in approach, Jews and Jewishness in British Children’s Literature discusses over one hundred texts ranging from picture books to young adult fiction and realism to fantasy. Madelyn Travis examines rare eighteenth- and nineteenth-century material plus works by authors including Maria Edgeworth, E. Nesbit, Rudyard Kipling, Richmal Crompton, Lynne Reid Banks, Michael Rosen and others. The study also draws on Travis’s previously unpublished interviews with authors including Adele Geras, Eva Ibbotson, Ann Jungman and Judith Kerr. Madelyn J. Travis is an Associate Research Fellow at Birkbeck, University of London. She has published on historical and contemporary British and American children’s literature and is currently researching Jewish childhood in England. This is her first book.